Robloms notater: A day in trains is over. 1. 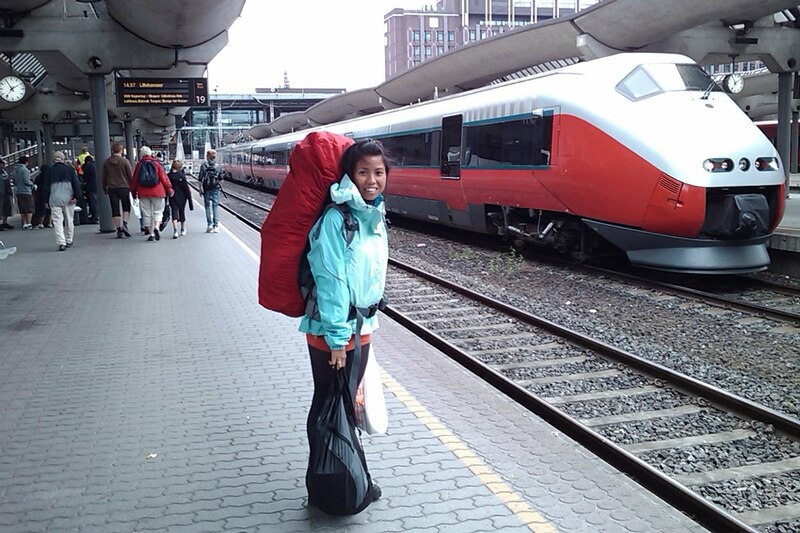 Just arrived at Oslo S with bus, and about to find the train for Dombås. 3. 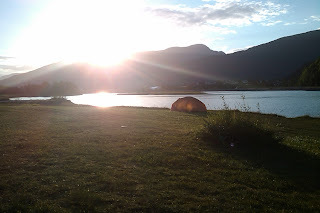 Our tent at Åndalsnes camping. Clouded view with small pieces of rain most of the day from Kristiansand @ 09:10 to Åndalsnes @ 20:02, luckily we got sunny weather towards the end of the journey where the best view was. - 1 bus and 3 different train rides. - a small scratch to the lid of my newly bought backpack. 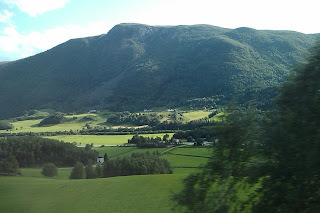 - nice view of nature where the last stretch from Dombås to Åndalsnes, called the Rauma rail "Raumabanen", by far exceeds the rest in terms of beauty. 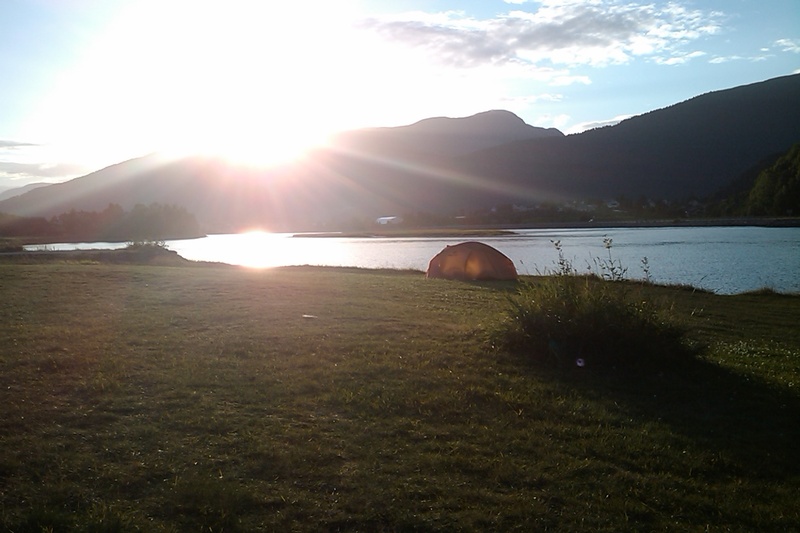 - The tent is pitched, dinner cooked and eaten. - One "tarp" forgotten at home. - Brought an excess of one back pack rain cover. - Best equipment: TNF rain jackets.